Founded by Oakland-based apparel designer Steven B. Wheeler, ThreadLab is the world’s first open source DIY apparel design for men. By using heat-activated adhesives, people can make their own custom clothes using an iron and a ThreadLab kit, no sewing required. 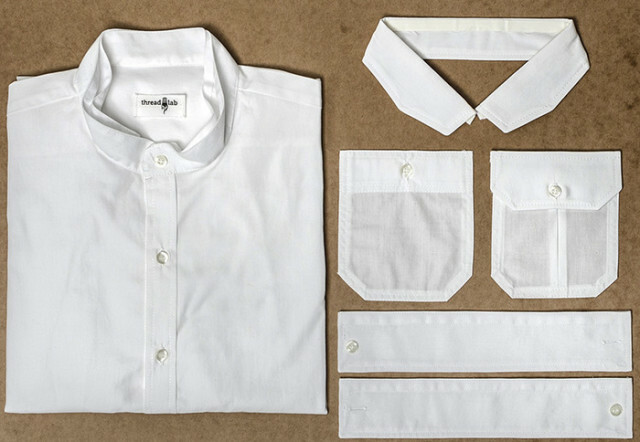 The first kit contains modular components to make a custom men’s shirt: collars, cuffs, pockets, and dyes. Wheeler’s ThreadLab project is currently raising funds on Kickstarter.